Hot, swingin’, smooth, original, clean, lyrical, faster than a speeding bullet, diatonically chromatic, one of a kind, masterful, and the swingingest… PT Gazell & The Side Effects come to Baur’s on Friday, January 13. PT’s command of his instrument offers listeners an extraordinary opportunity to experience someone with a matchless one-of-a-kind vision, style and technique. Music Appreciation Society invites you, your friends, and family out to Baur’s for an evening of swingin’ jazz with PT Gazell & The Side Effects. PT Gazell has earned his position as a master of the diatonic harmonica by taking the long way around from Oconomowoc, Wisconsin to Nashville, Tennessee. First picking up the instrument in his late teens, the Wisconsin-born, self-taught player honed his craft by taking on all manner of musical styles and traveled a circuit that included bluegrass, folk, pop festivals and gigs. His instinctive musicality allowed him to explore and expand his repertoire and achieve a lofty level of mastery very quickly. Still early in his musical evolution, Gazell found his way to Lexington, Kentucky in the mid-seventies. While in Lexington, PT recorded his first album for Sugar Hill Records, “Pace Yourself.” Recorded with an all-star lineup, it is this recording that announced PT Gazell’s genius to the world. PT was the first harmonica player, and the second artist, to be honored with a recording contract with famed Sugar Hill Records. His total and complete mastery of the diatonic harmonica can be heard on this seminal recording, which set the bar for all other players who followed. Gazell soon became a sought after side man and session player for some of Nashville’s biggest stars and spent the next part of his career playing and recording all over the world alongside the stars of the day. After 10 years of extensive touring and frustrated by the musical limitations presented by the standard diatonic harmonica, Gazell put his instrument down and disappeared for a while. When he finally reemerged it was with a newfound enthusiasm in part created by his introduction to valved harmonicas. 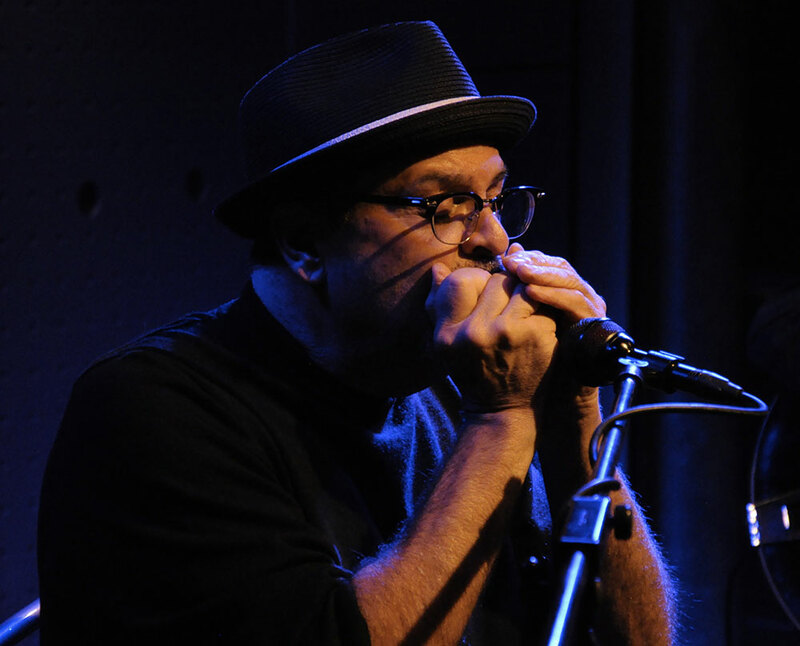 Using self-valved harps, Gazell’s music literally soared to new heights as this new approach allowed him access to musical possibilities normally not available on the standard diatonic harmonica. “Suddenly I was able to play exactly what I was always hearing but could not achieve. The valves unlocked the door.” And PT came out swinging… His first recording using the valved diatonic is a masterful swing record entitled, “Swingin’ Easy…Hittin’ Hard” that PT released in 2005. Gazell’s playing on this record begs comparisons to jazz greats Benny Goodman and Ben Webster. The record spurred a brand new interest in PT and soon he was back on the road, only this time fronting various combinations of jazz and swing musicians. Critics and fans alike hailed Gazell’s return to live performing and “Swingin’ Easy… Hittin’ Hard” quickly became a favorite at NPR stations across the United States. 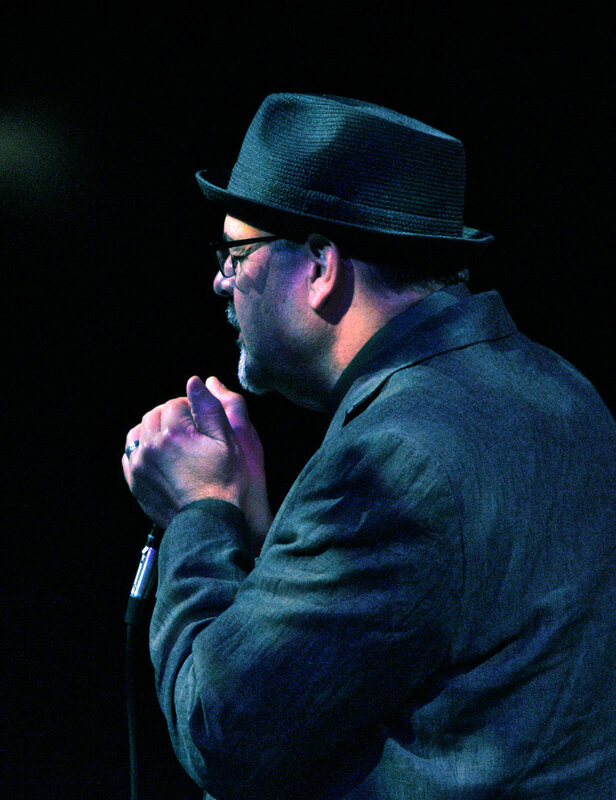 In 2008 Gazell and New Zealand chromatic harmonica wizard, Brendan Power, teamed up for a swinging, dynamic sonic masterpiece entitled, “Back To Back.” Gazell’s work on this once-in-a-lifetime masterwork shows a man at the top of his game. The CD features standards and jazz classics reinterpreted by two of the world’s most gifted instrumentalists. Joining forces with German Harmonica manufacturer C.A. Seydel in 2007, PT introduced two signature model “Gazell method” instruments. These harmonicas feature a revolutionary new valve material that PT researched, and his personal setup for half valved diatonics. These instruments are quickly becoming an industry standard. The 2011 release of “2 Days Out,” marked yet another milestone in harmonica maestro PT Gazell‘s musical journey. Perhaps the most musically daring of all his recordings, “2 Days Out” explores dynamic sonic combinations that are superbly refreshing, spirited and profound. PT’s half-valved diatonic harmonicas are paired with a couple of heavyweights from the brass section – trombone and flugelhorn. PT’s impeccable phrasing and undeniable expressive shadings blend seamlessly with these horns to create something extraordinary and distinct. It also exposed Gazell to a much larger audience. Equally exciting, “2 Days Out” was in the first round of balloting for 2 different Grammy awards. “A Madness to the Method,” the latest offering in the musical journey of harmonica innovator PT Gazell, delights and captivates in all its genre-busting glory. Again being nominated for 3 awards in the initial round of Grammy balloting “A Madness To The Method” re-establishes PT Gazell as one of the finest and most unique players in a generation. PT likes to think of his projects as “an ongoing musical conversation between myself and my fans.” Judging by the music and performances he delivers, he’s quite a compelling and articulate speaker. No other player combines his phrasing, his melodic style, his song choices and his improvisational abilities… his singular style may draw comparisons to others, but in the end, it’s a style all his own.